This tour will give you an overview of the services and resources offered by the Library, as well as an idea of where they are physically located. is located on the campus of UPEI. Do you wish to see a campus map? Enter through the Main Entrance to begin the tour. Once in the Breezeway, enter the Library proper. As you enter the Library, the Service Desk is on your right. Librarians are available for one-on-one consultations to help with your research needs. Contact your subject librarian to set up an appointment. Your UPEI Campus Card is your Library card. Bring it with you to the Library - you will need it to sign out Library material from the Service Desk and to add money to your UPEI Campus Card account. The normal loan period for students is three weeks. Books can be renewed in person, by phone at 902-566-0583, by email at circdesk@upei.ca, or directly using the Library's Catalogue's My Account. Books and other course materials are often placed "on reserve" or "electronic reserve" by faculty members. This ensures they are available for everyone in the class. Reserve materials are available through the "Reserves" link on the Library's homepage. Select the appropriate department to locate your course reserves. Electronic reserve material is available on campus, as well as off-campus using your UPEI username and password. Non-electronic reserve material is available at the Service Desk. Loan periods vary from one hour to one week, depending on what your professor has specified. Want more information on the Library's borrowing policies? Library ASK US, a real-time online reference service, is an extension of our in-person, phone, and email reference service. ASK US Chat is available to UPEI students, faculty, and staff. ASK US is available throughout the Library website and in all Moodle courses. Computer help, such as setting up your UPEI student network account, wireless access, word processing, printing, scanning, and campus e-mail, is also available from the Service Desk. Go through the door to the left of the Service Desk to access the Learning Commons. The Reference stacks are located adjacent to the Service Desk. In addition to general reference works, such as Cambridge Encyclopedia and Oxford English Dictionary, there are specialized Reference Books for various subject areas. For example, History reference books include Dictionary of Canadian Biography and Historical Atlas of Canada, while Business reference books include Encyclopedia of Operations Management and Dictionary of Marketing Terms. The books in the Reference Collection, like books located elsewhere in the Library, are arranged by the Library of Congress Classification System. This ensures that books on similar subjects are kept together on the shelves. most of those dealing with Canadian history are in the "FC" section; many books covering women's history are in the "HQ" section. Business books are in the “HA-HJ” sections. There is also an additional Reference Collection located on the Upper Level. Included in this collection are general encyclopedias, including the Encyclopaedia Britannica; the Dictionary of Literary Biography; and Contemporary Literary Criticism; as well as Indexes and Abstracts, such as the Canadian Periodical Index and the The New York Times Index. Outlines of the Library of Congress Classification System are posted on the ends of book stacks at various locations throughout the Library. Current Periodicals are also located in the Learning Commons, on the shelves preceding the Reference Collection. A periodical is an item which is published on a regular basis, such as magazines, newspapers, and journals. Serial is sometimes used as a synonymous term. The current issue of each periodical is on display, with the titles arranged in alphabetical order. Here you can find the latest issues of Harvard Business Review, Journal of the Canadian Historical Association, MacLean’s, and other journals. Lift up the shelf to see the immediately-preceding issues. To search for a specific journal, newspaper, or magazine title that the Library subscribes to, either online or in print format, use the search box under the Articles tab on the Library homepage. 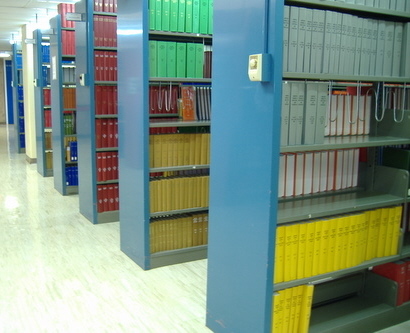 The Library's collection of federal Government Publications is located on the shelves just behind the Reference Collection. Included in this collection are Hansard, Bills of the House of Commons and Senate, annual reports of government departments, and reports of commissions of inquiry. These publications can range in size from pamphlets on a wide range of subjects to multi-volume Royal Commission reports. Many of these Government Publications can be searched in the Library Catalogue. Most recent government publications are available in electronic format. The Government Information search box on the Library website searches Government of Canada, provincial, and municipal websites. To access the Government Information search box, click on the More tab from the Library homepage. When you need to locate journal and/or newspaper articles, use an Article Database. Just as there are reference books for various subject areas, there are also article databases for various subject areas. Article databases can be accessed from the computers throughout the Library, as well as from any networked computer elsewhere on campus. To access Article Databases, from the Library homepage, click on the More tab. Currently registered UPEI students, faculty, and staff can also use these databases from off-campus using your UPEI network username and password. By the way, if you are using your laptop, wireless access is available throughout the Library using Panthernet. Panthernet is also available in all academic buildings on campus. Two databases of particular interest to history students are America: History & Life and Historical Abstracts, although depending on your specific topic, there may be other databases to search. Business students will find Business Source Complete and CBCA Complete (Canadian Business and Current Affairs) useful databases. Do you wish to see a list of the Subject Databases available? searches almost all of the Library's print and online collections, and millions of other materials not owned by the Library, in a single search. When off-campus, UPEI students, faculty, and staff should use the "login" link offered at the top of the first search results to get complete access to the full text. Use your UPEI network username and password, the same account you use to access Moodle and campus email, to login to OneSearch. The Library offers both Windows 7 (Dell) computers and iMacs. The Windows computers, which include Microsoft Office and course-related software, require you to log on using your UPEI student network username and password. The iMacs, which include standard Mac software and Microsoft Office, do not require a network login; however, if you wish to print, you will be prompted for your student network username and password. 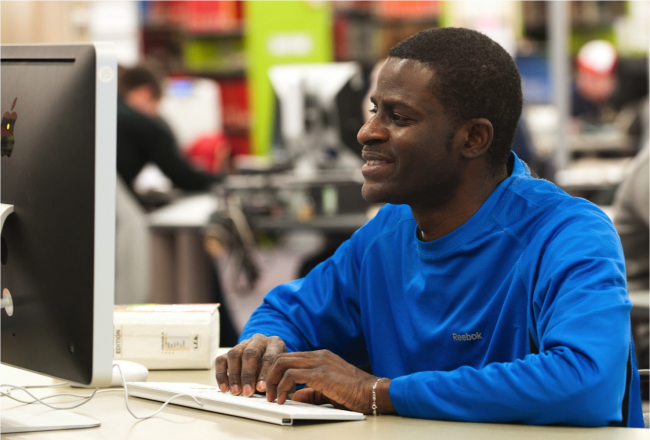 You can access the Library's resources, such as the Library Catalogue and article databases; e-mail; Moodle; and search the Internet from any computer in the Library. Do you want to see more information on computers in the Library? Laser printers are located adjacent to the Service Desk in the Learning Commons. 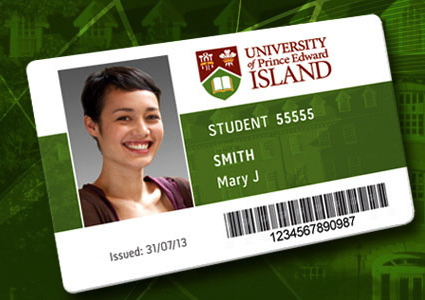 Use your UPEI Campus Card account to print. Both black & white and colour printing options on letter size paper are available. Printing costs 10 cents for black & white single sided and 16 cents for black & white double sided; or 20 cents for colour single sided and 35 cents for colour double sided. A Konica-Minolta multifunction device (MFD) is available adjacent to the laser printers in the Learning Commons. The MFD can print black & white or colour, on letter or legal size paper, single-sided or double-sided. Printing costs 10 cents per side for black & white or 50 cents per side for colour. Tap your campus card or insert coins to pay for your print job at the MFD. You can also print PDFs directly from a USB stick in the MFD devices. Two additional MFD devices are available in the Library - behind the staircase on the Main Level and in the lobby on the Upper Level. Want more information on printing options in Robertson Library? by credit card using the Campus Card Account web interface. By the way, you can also use your Campus Card to pay for photocopying, for other services on campus such as laundry and vending machines, and for coffee and snacks at campus cafes, such as Samuel's in the PIT of the Library. Inquire at the Service desk for assistance with scanning. Want more information on scanning in the Library? The Library offers the use of a 3D printer to UPEI students, faculty, and staff, as well as members of the public. The printer is located in the Lower Floor Lobby of the Library. It is available on a self-serve, first-come-first-served basis. Please see 3D Printing for more information on 3D printing in the Library. Inquire at the Service Desk for questions regarding 3D printing. The Special Collections area, on the Main Level, houses the P.E.I. Collection, University Archives, microfilm, microfiche, and current and back issues of a wide range of P.E.I. newspapers and periodicals. Back issues of PEI newspapers will usually be found on microfilm, or in certain cases, in the newspaper cabinet, adjacent to the current newspapers. The Special Collections area also houses study tables and the P.E.I. Collection Catalogue. Assistance with the P.E.I. Collection, University Archives, and microforms is provided from the Service Desk. The UASC Librarian, whose office is located in the Special Collections reading area, may also be available to assist you (appointment recommended -- 902-566-0536 Simon Lloyd slloyd@upei.ca). The Robertson Library attempts to collect everything written about P.E.I., or published on P.E.I., including P.E.I. government publications. Selective indexing is done of articles in Island newspapers, and articles about P.E.I. which appear in periodicals. It is important to check the Library Catalogue, PEI Digital Collections, the PEI Newspaper Database, the PEI Articles Database (PEI PAD), and the card catalogue in this area when doing a search for information on an Island topic. University documents, including back issues of the University Calendar, student newspaper, and yearbooks, are also located in the Special Collections area. Microfilm and microfiche readers are available in the Special Collections Area. 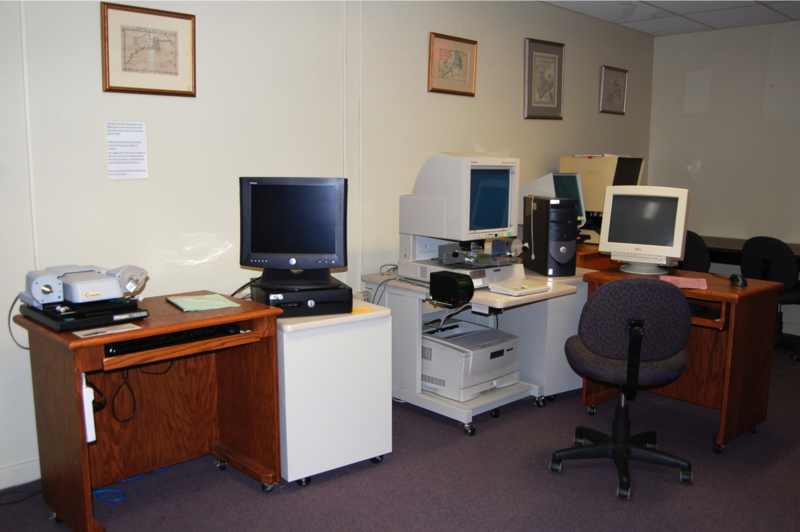 In addition to the readers, two work-stations are available for making digital scans from microfilm and microfiche. Scanning is free of charge. A printing option is also available from one workstation. Printing costs 25 cents per copy to the workstation printer. Inquire at the Service Desk for assistance. The collection of P.E.I. newspapers on microfilm is an important resource for historians and genealogists. Other useful primary sources of information for Prince Edward Island history can also be found on microfilm, including Journals of the House of Assembly. Browse through the first shelving unit to see what other primary sources for Island History are available. By the way, the Guardian, PEI's main newspaper, is available in digital format from 1890-1960s. The Guardian, as well as other PEI related digitized collections, can be accessed from the Library homepage. Click on the PEI Collections icon. 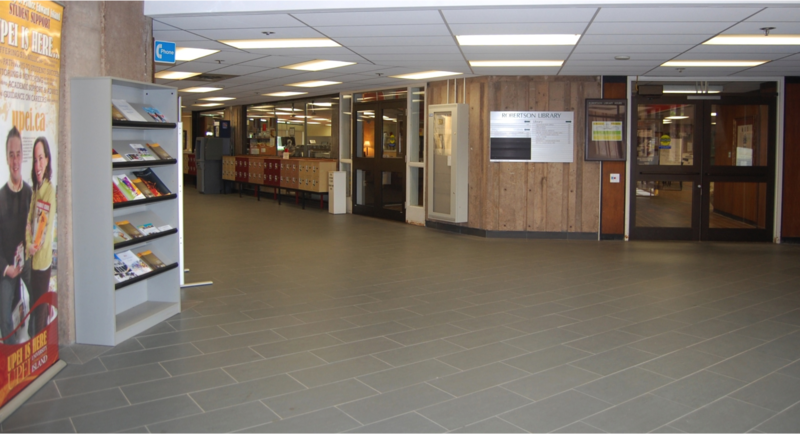 The UPEI Writing Centre is located on the Main Level, adjacent to the microfilm stacks in the Library Learning Commons. The Writing Centre provides coaching and support for writing in all disciplines for students, faculty, and staff. For further information on the Writing Centre, visit the UPEI Webster Centre for Teaching and Learning. houses videos, CDs, sound recordings, and MacPro workstations with specialized digitizing equipment. The LINC (Library Instruction Centre) is also located on the Main Level. This classroom is equipped for hands-on learning activities in the use of library resources. During your time at UPEI you may attend classes here. The Language Lab is located next to the LINC. This lab is equipped with iMacs with Rosetta Stone software with several basic modern languages available for self-learning. Now we move to the Upper Level of the Library (take the stairs or the elevator). The Library's collections of circulating books and bound periodicals are located on the Upper Level. Turn right at the top of the stairs to access the Reading Room, a large study area. The Reading Room houses arrangements of leather sofas and chairs, as well as study tables and carrels. There are also computer workstations and a computer lab located in this area. These computers can be used to search the Library Catalogue and databases, and there is an option to print. Turn left at the top of the stairs to locate books and back issues of periodicals. On your way, you will pass a conversation/study nook. An iMac computer is also located in this area. You can access the Library catalogue from this computer. A Konica-Minolta multifunction device (MFD) is attached. You can print and scan from this MFD. The Konica-Minolta multifunction device (MFD) can print black and white or colour on letter or legal size paper. Printing costs10 cents per printed side for black & white and 20 cents per side for colour. You will need to need to tap your UPEI Campus Card on the MFD located on the Upper Level and on the MFD on the Main Level, just behind the staircase. The MFD in the Learning Commons takes coins as well as your UPEI Campus Card. Do you want further information on printing in the Library? Scanning is free of charge. Do you want more information on scanning in the Library? arranged on the orange shelves according to the Library of Congress Classification System. Do you want to watch an online tutorial on Call Numbers & How to Find Books in Robertson Library? Books can be signed out for three weeks and can be renewed twice provided that no one else has placed a request for that book. Use the Library Catalogue to locate books that are relevant to your research projects. By the way, there is a light timer on every second row of shelves on the Upper Level. Simply turn it on, for a maximum of 15 minutes; light timers will shut off automatically. Additional Dell computers are located in the "D" area of the Book Stacks, on the back wall behind the Emergency Exit. The Sun Room on the Upper Level has been designated as a quiet study area. Out of respect for others, please refrain from talking in this room. The Oversize Collection, located just outside the Sun Room, is comprised mainly of art books. These books are listed in the Library Catalogue, and are available for the regular three-week borrowing period. you will see the Library's collection of bound periodicals arranged on blue shelves alphabetically by title. Periodicals are for in-library use. Because the periodicals are arranged in alphabetical order by title, and not by Library of Congress call numbers, you will not be able to find all the periodicals dealing with a particular subject (such as history) together. Be sure to use a periodical index, an abstract journal, an electronic database, or bibliography to identify the periodical you need. Are you looking for a workspace where you can study and not be bothered by background noise? Do you want to read your textbook in a quiet area, without the distraction of people talking? Check out the Library floor plans to identify these areas. Is the area where you are studying too hot or too cold? The Library does not have access to temperature controls within the building. You may have to check out other areas within the Library to find a spot which suits your needs. Study carrels (approximately 150) and tables are located throughout the Library. There are also individual study rooms (identified by yellow doors) on the Upper Level. A number of group study rooms (identified by blue doors) are available for group work. 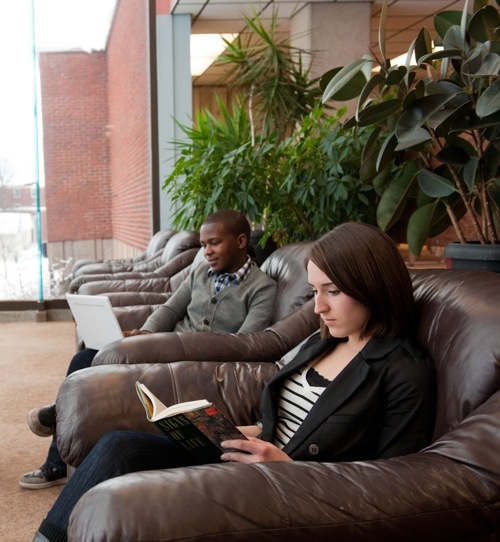 Study rooms are available to UPEI students for a 3-hour time slot and are booked online. Four group study rooms are equipped with LCD monitors. Most group study rooms are equipped with a computer. Research Rooms are available for a 3 hour time period. Research rooms are not bookable; sign out the key for these rooms at the Service Desk. Do you want more information on group and individual study rooms? is a specialty room that the library provides for faculty, students and staff who need a space where sound damping is important. Some examples of appropriate use for the room include recording lectures, audio or video recordings; a space for conducting online interviews; or for other similar purposes where a sound might be an issue. This room is not intended as a general group study room. The Soundproof Booth is booked online from the Study Rooms tab on the Library homepage. Click on the Upper- Small Groups tab in the Reservation Calendar. The room contains an Apple iMac. For those wishing to record audio, a USB microphone will soon be available for loan at the Service Desk. Washrooms are located on both levels of the Library. Public phones are located on the Upper Level and in the Breezeway. Relax in the nook at the bottom of the stairs and check out the beautiful exhibit featuring information and images of Mi'kmaq history and culture. Books on indigenous peoples displayed here are available for borrowing. A courtesy phone is also located here. Fill your water bottle with chilled, filtered water or have a drink from the water station, located just outside the washrooms on the Main Level. The Accessibility Services Satellite Testing Centre is located on the Upper Level. Contact the Webster Centre for Teaching and Learning for further information. An elevator is located directly across from the water station. Emergency Exits are provided on both Levels of the Library. Check out the Book Nook - an ongoing book sale, just behind the stairwell. Small lockers in the breezeway of the Library are available to students. There is a $10. per semester rental fee for either the Fall or the Winter Semester and a $10. rental fee from May - August. Simply choose the locker you wish, then register your locker at the Service Desk. An ATM is also available in the breezeway. Lost your notes, USB, keys, headphones, textbook, etc.??? Check at the Service Desk – your lost item may be in the Library’s Lost and Found. Lost and Found items are sent to UPEI Security Services on a regular basis. Please note that personal belongings shouldn’t be left unattended in the Library. You can get your caffeine and munchies at Samuel's Cafe, located in the PIT, just off the breezeway opposite the Library. Now that you have taken the Virtual Tour of the Robertson Library, would you like to take a guided tour? Guided tours are offered throughout September and January.